One-on-one career coaching sessions are personalized for your career needs. Discuss possible career paths, job search strategy, or nail those tough interview questions. Each session is one hour. Clients may choose to purchase career coaching by the hour for immediate and specific career strategy needs, purchase several sessions for short-term needs, or purchase by the month for long-term needs. Just want a Resume Review? Ask about our one-hour blitz resume review and virtual scree-share coaching session. I will address the weaknesses in your resume, tell you how to make it stronger, and offer formatting suggestions that make it stand out from the crowd and easier to read. 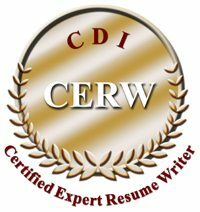 If you are unable to afford one of our resume re-write packages, this is a great way to receive some expert advice and help.